What better way to spend my homework time than drinking a beer and watching Netflix? I’m really excited about the next few weeks and some of the plans I have for Sips & Spoilers. I’ll be doing a special audio edition with a certified beer geek from Columbia’s Craft Beer Cellar, some live blogging of HBO’s Game of Thrones when it returns and a special series for one of my all time favorite shows. But this week, I’ll be writing on one of the most popular sitcoms to ever hit the air and which also recently hit Netflix. The show: A brief synopsis: I probably don’t need to explain the many, many plots of Friends to you. I’m not sure it’s even possible. But I’ll give it a shot. When Rachel Green (Jennifer Aniston) plays the part of a runaway bride, she is taken in by old high school friend Monica Geller (Courteney Cox), uniting a group of six friends that spend their days navigating the trying times of adulthood. It made perfect sense to make the official beer of Friends a stout, specifically one heavy with coffee. The group’s main hangout spot is Central Perk, a coffee shop close to their apartments. But coffee stouts tend to be very dark and a little heavy, which doesn’t exactly match the show’s tone. I wanted something a little tastier. 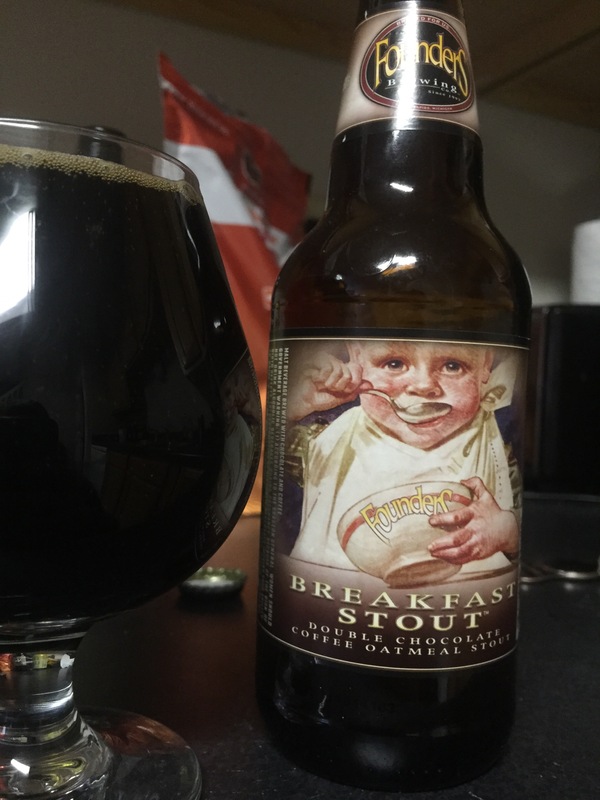 Luckily stouts can also have lots of chocolate tones depending on the specific beer. I also wanted something to match the group’s dynamic. Different flavors making up a more appealing whole. I narrowed it down to a few options and settled on Founder’s Breakfast Stout. It’s a heavy 8.3% ABV, but it’s got some complex flavor. There’s coffee, chocolate and oatmeal all wrapped up in one, making it the perfect combination of delicious everyman flavors to enjoy with an episode or two (or six) of Friends. Chances are this beer would be a little too much for Rachel and Monica…and Ross. But that’s okay. Everyone has different tastes. So pour a glass of Founder’s Breakfast Stout and get to watching Friends on Netflix. Even on a lonely weekday night, they’ll be there for you.